Fill Hose 90 Degree MxM 3/4 - GAS IT Leisure Gas Bottles, Gas Cylincers and Gas Tanks - Catering, Motorhome, Campervan, Caravan, Farrier and Road Repair Refillable Gas Solutions. 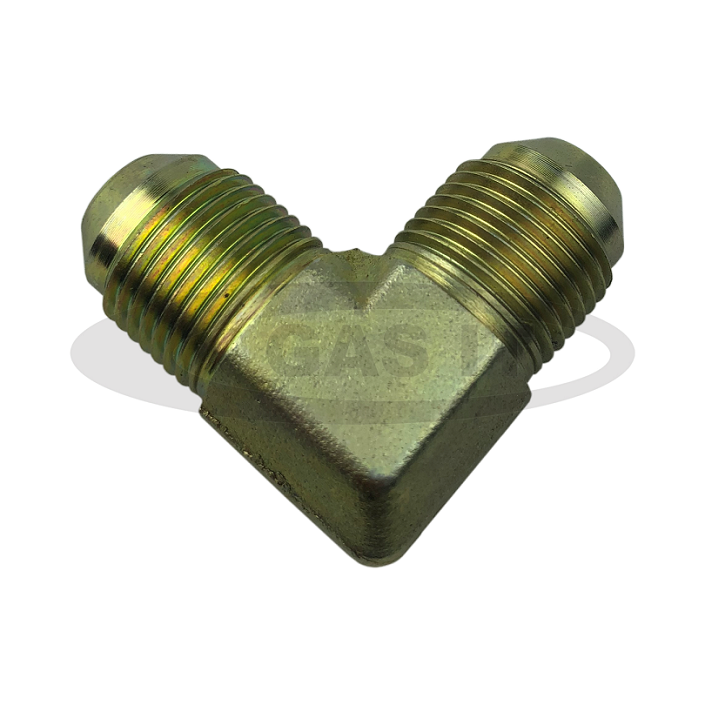 This 90 degree Male/Male angled union - 3/4" UNF - 45 degree sealing faces, can be used to connect two gas fill hoses at a 90 degree angle. This GAS IT product is machined to have the required 45 degree shaped faces to exactly match the sealing faces on LPG Fill hoses, Fill points & Fill connections on all certified refillable gas products.